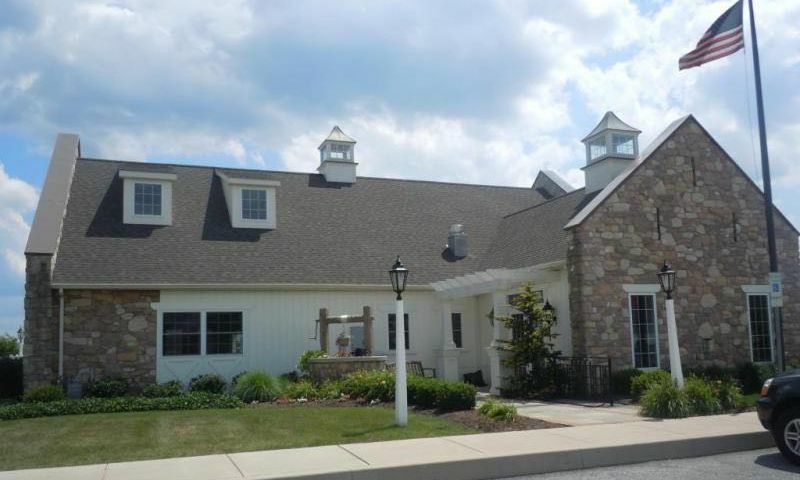 Watson Run is a 55+ community in Gordonville, Pennsylvania that offers homebuyers low-maintenance residences. Homebuyers can select from new and resale single-family homes that suit their every need. Those who choose to call Watson Run home will enjoy the amenities that are offered inside and outside of the clubhouse. Watson Run has views of gorgeous farmlands and scenic landscapes near Amish Country. The community clubhouse is a favorite meeting place for social activities in Watson Run. A multi-purpose room makes for the perfect place for residents to meet with their preferred clubs or host holiday parties, dances, and neighborhood meetings. The lounge is the perfect place to grab a coffee from the kitchen and relax with a book by the fireplace. The clubhouse also has a game room with billiards. Outside of the clubhouse there is an outdoor pool that’s the perfect retreat on a hot summer day. Walking paths are found throughout the community so you can easily visit with neighbors. Berks Homes began development of Watson Run in 2007. Upon completion the community is set to have 190 single-family homes. There are seven floor plans ranging from 1,348 to 2,471 square feet that include one to three bedrooms, two to three bathrooms, and an attached two-car garage. All of these homes were designed for active adults with first-floor master suites. Residents of Watson Run enjoy living in well-designed low-maintenance homes and do not have to worry about weekend chores. This is because homeowners pay a reasonable association fee to take care of the exterior maintenance of their homes and common areas. Residents have more time to partake in activities, join clubs based on common interests, and attend fun community events. Watson Run is located in Gordonville, Pennsylvania. Its central setting delivers easy access to Routes 30 and 340 for a convenient commute to the Lancaster and Philadelphia areas. Gordonville is rich with history and hosts an Annual Spring Sale and Auction hosted by the Gordonville Fire Company and Ambulance department. Residents can shop for antiques and socialize with tourists who visit from all over for this attraction. Living in a rural area that’s close enough to big city attractions is a benefit of living at Watson Run in Lancaster County. Check back soon for more information on the lifestyle in Watson Run. There are seven floor plans ranging from 1,348 to 2,471 square feet that include one to three bedrooms, two to three bathrooms, and an attached two-car garage. All of these homes were designed for active adults with first-floor master suites. 55places.com is not affiliated with the developer(s) or homeowners association of Watson Run. The information you submit is distributed to a 55places.com Partner Agent, who is a licensed real estate agent. The information regarding Watson Run has not been verified or approved by the developer or homeowners association. Please verify all information prior to purchasing. 55places.com is not responsible for any errors regarding the information displayed on this website.